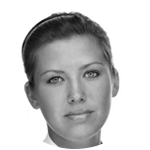 Ms. Preis studied pharmacy at the Heinrich-Heine-University Dusseldorf and graduated in 2009. In 2010, she began her work as a Ph.D. student in the R&D group of Prof. Joerg Breitkreutz at the Institute of Pharmaceutics and Biopharmaceutics at the University of Dusseldorf. Her work focuses on the development of taste-masked orodispersible dosage forms and the characterization by means of electronic taste sensing. 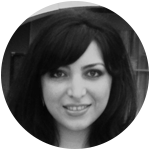 Tannaz is a Ph.D. student in Pharmaceutical Sciences at Rutgers University. In 2010 she earned her Pharm.D. Degree from Tehran University of Medical Sciences (Tehran, Iran). She has over five years academic research experience in drug delivery and nanomedicine. Her doctoral work involves developing a topical formulation of polymeric nano-carriers for hair follicle-targeted drug delivery. 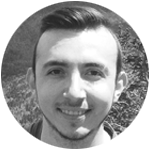 Emrah Ilker Ozay is currently a Ph.D. candidate in Molecular and Cellular Biology (MCB) Graduate Program at University of Massachusetts Amherst. Under the supervision of Dr. Lisa Minter and Dr. Gregory Tew, he is working on intracellular antibody delivery into T cells by using cell penetrating peptide mimics as a novel treatment of aplastic anemia. 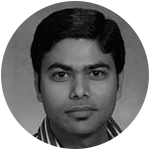 Nilesh Gupta is pursuing his Ph.D. in Pharmaceutical Sciences at Texas Tech University Health Sciences Center. His dissertation discusses “Cellular and Lipidic Carriers for Inhalational PAH Combination Therapy”. He has over five years of academic research experience in inhalational drug delivery and has showcased his work in several international conferences. 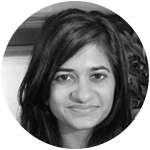 Prachi Shah is a formulation development scientist with three years of academic research in lipid based drug delivery systems. For her thesis, she developed and validated methods to analyze double nano-emulsions. She is among the first researchers to have worked in that area with success. James received $5,000 for his winning submission. He is an M.D./Ph.D. student at UNC-Chapel Hill who is currently working towards a Ph.D. in Molecular Pharmaceutics from the Eshelman School of Pharmacy. His doctoral work involves the development of implantable devices for localized delivery of cytotoxic therapies to solid tumors. Byrne received his B.S. in Biomedical Engineering from UT-Austin in 2008. In addition, three other students were awarded $2,000 each. Shashank Jain is pursuing his Ph.D. in Industrial Pharmacy at St. John’s University. His dissertation discusses “Formulation, Evaluation, and Statistical Optimization of Diclofenac-loaded Ethosomes for Enhanced Anti-inflammatory Activity.” He has over five years of academic research experience in oral and transdermal drug delivery. Shashank earned an M.S. in Industrial Pharmacy in 2009. Maxx Capece is a New Jersey native currently working in the Engineering Research Center for Structured Organic Particulate Systems (ERC-SOPS) at the New Jersey Institute of Technology. Maxx plans to graduate with his Ph.D. in Chemical Engineering in May 2014. Maxim Osipovs was born in Riga, Latvia. After his third birthday his family immigrated to Düsseldorf in Germany, where he finished school in 2010 and started studies in Pharmaceutical Sciences at the Heinrich-Heine Universität Düsseldorf. He passed his first Staatsexamen in August 2012 with above-average success. Currently he is pursuing the second half of his studies and is expected to complete his studies in 2014. Pulkit was the winner of the 1st Annual Academic Competition.